Recently, redevelopment has trickled to the Girard Avenue corridor that separates Northern Liberties from South Kensington. Some of that can surely be attributed to improvement in the neighborhoods on either side, and we can also look to growth on the East Girard corridor next door as another source of momentum. Just recently, we told you about the demolition of a long-vacant building on the 100 block of W. Girard, where a mixed-use building will soon rise. We told you about a renovation effort underway on the 200 block. Today, we want to show you another renovation that's resulted in a new business coming to Girard Avenue. 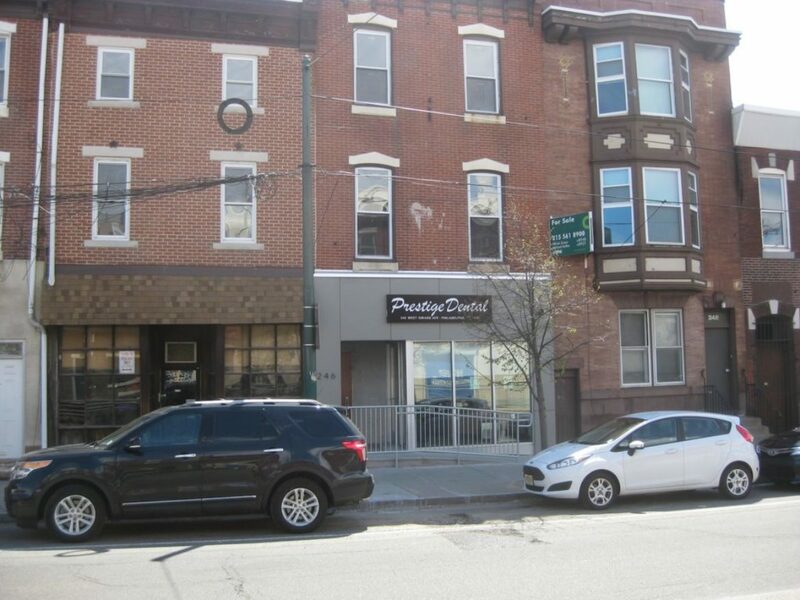 Until recently, Saint Francis Urban Center occupied a space at 246 W. Girard Ave., which had a brownstone storefront that wasn't terribly inviting. Triple Eight Investments LLC bought the building last year and proceeded to do some significant work inside and outside of the building. Now, it's been converted into a dentist's office, with offices on the upper floors. We were kind of expecting apartments above but jobs are good too. You can see, the commercial space is now considerably more appealing to passersby, and it's also handicap accessible. The two buildings on either side could soon see some changes as well. 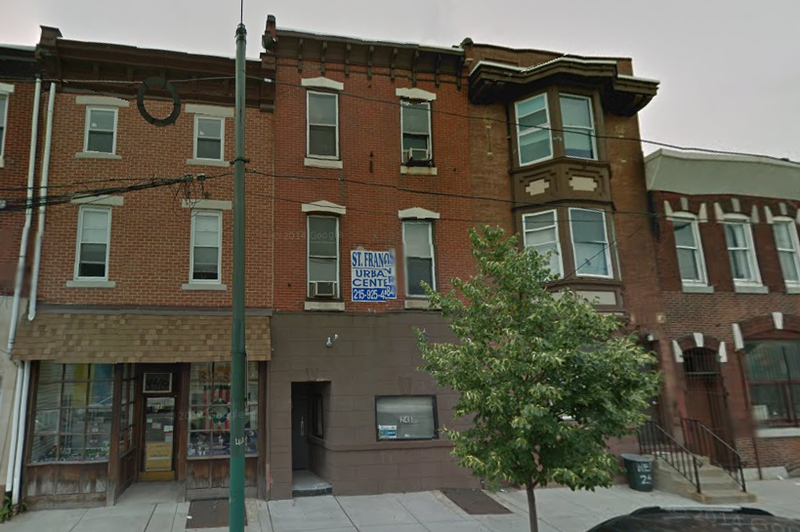 244 W. Girard Ave. was also purchased last year by developers. It stands to reason that they'll likewise rework the commercial space and there should be a new tenant in there sooner rather than later. 248 W. Girard Ave. has a 'For Sale' sign on the building, but we can't find any info about that online. Maybe a leftover sign from way back when? Will this ever get renovated? The next building to the west, located at the corner of 3rd & Girard, represents a great development opportunity. We pontificated about it back in 2012. Nothing has happened there yet, to our knowledge. But maybe with all the revitalization happening nearby, the owners will either become motivated to redevelop or sell. Seems like a reasonable possibility, no?